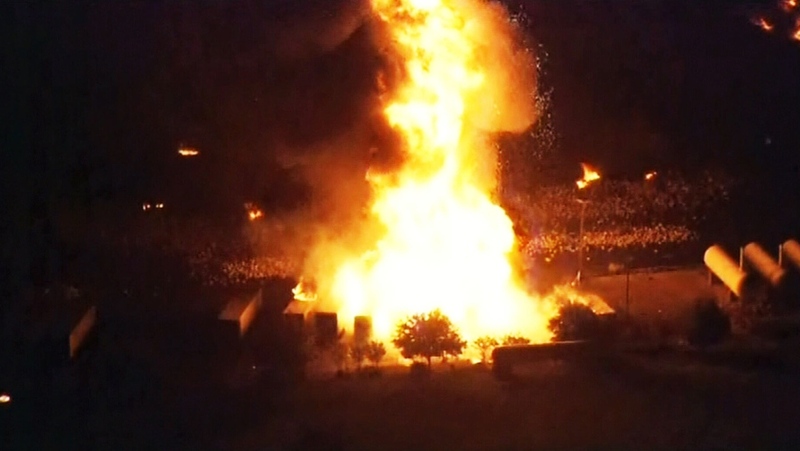 TAVARES, Fla. -- A series of explosions rocked a central Florida propane gas plant and sent "boom after boom after boom" through the neighbourhood around it. Eight people were injured, with at least three in critical condition. 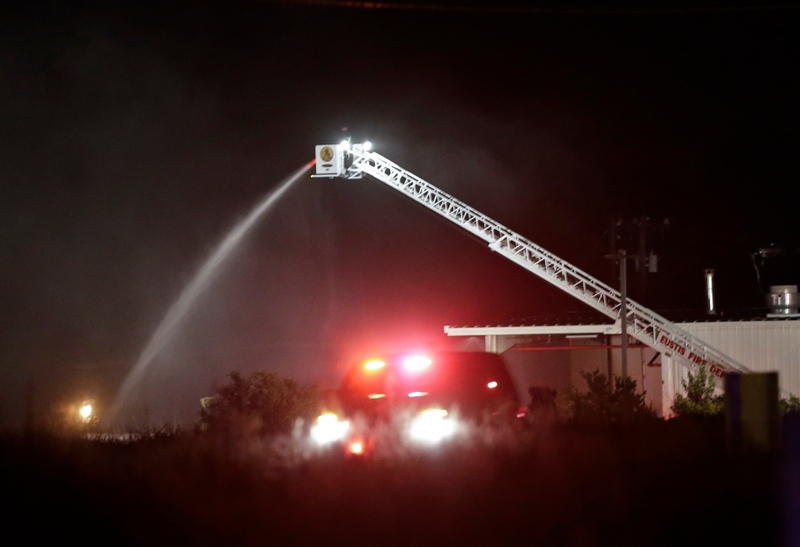 John Herrell of the Lake County Sheriff's Office said early Tuesday there were no fatalities despite massive blasts that ripped through the Blue Rhino propane plant late Monday night. Officials initially scrambled to find more than a dozen employees after the explosions. Herrell said a crew of 24 to 26 people was working the overnight shift when the explosions occurred around 10:30 p.m. Monday. Tuesday morning, smoke still billowed from a storage container on the property, which consists of a couple of warehouses next to each other. 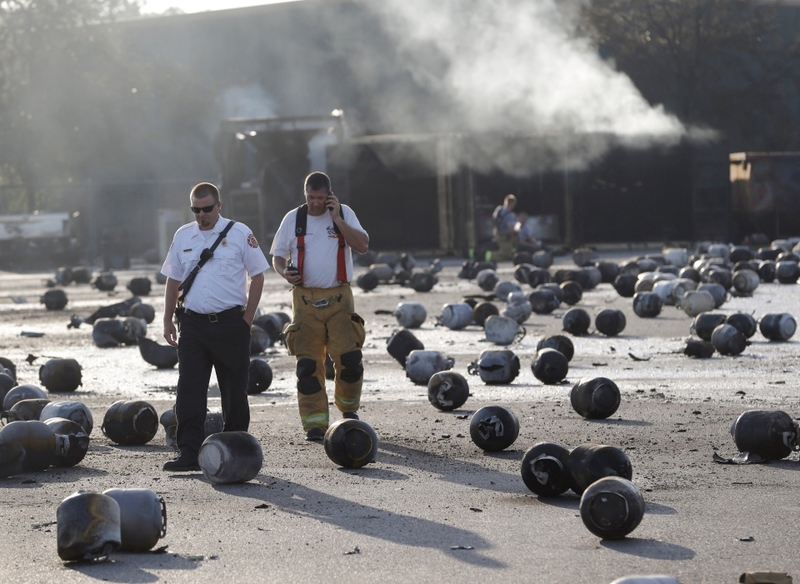 The parking lot was littered with thousands of blackened 20-gallon propane containers. Nearby, three 30,000-gallon tanks of propane sat untouched. Officials said hoses designed to spray water on the large tanks in case of fire, didn't go off as planned. Firefighters had to wait about four hours before they could go near the fire because the conditions were so dangerous. "It was like a car had run into my house, is what I thought had happened," she said. She ran outside and saw other neighbours outside and then they saw the explosions. 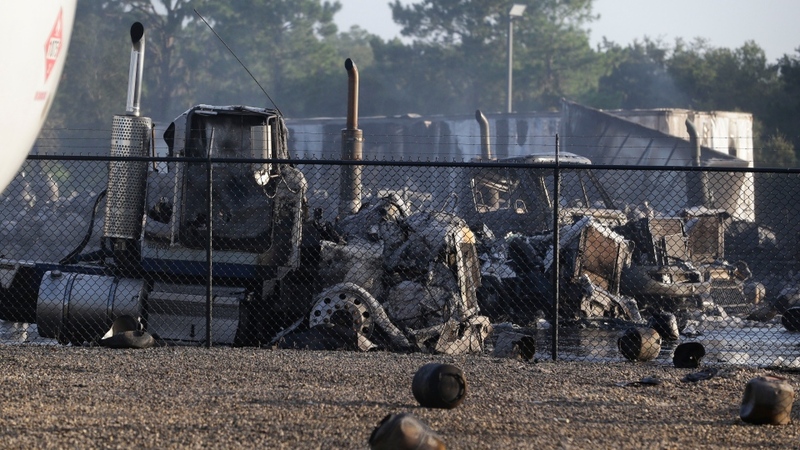 Flames from a gas plant explosion in Tavares City, Fla., are seen late on Monday July 29, 2013.